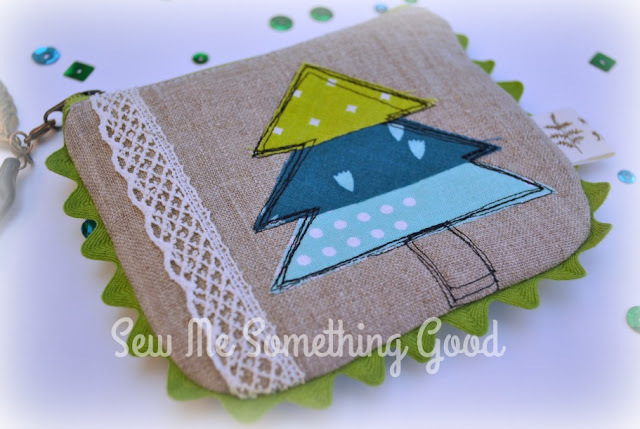 My fascination with using HST cut offs to make scrappy trees obviously meant that I would not be satisfied with only making one zipper pouch featuring them. Combine the cuteness factor with having a lovely friend that loves scrappy makes as much as I do and you know what happened. 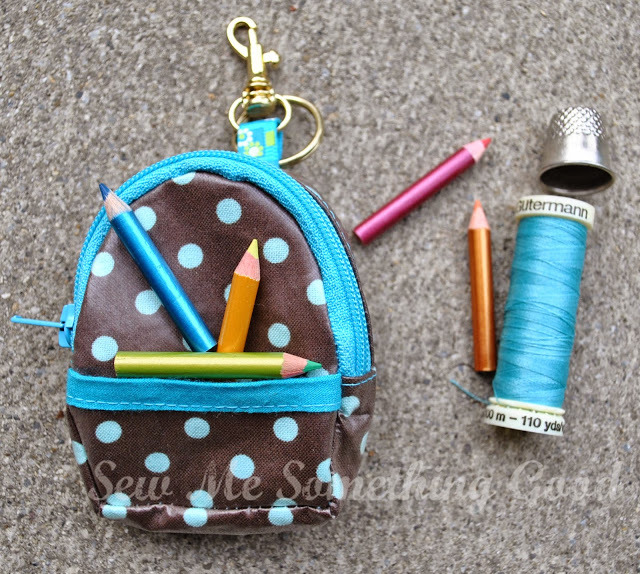 If you're looking for a quick to sew gift, may I suggest a scrappy little zipper pouch? 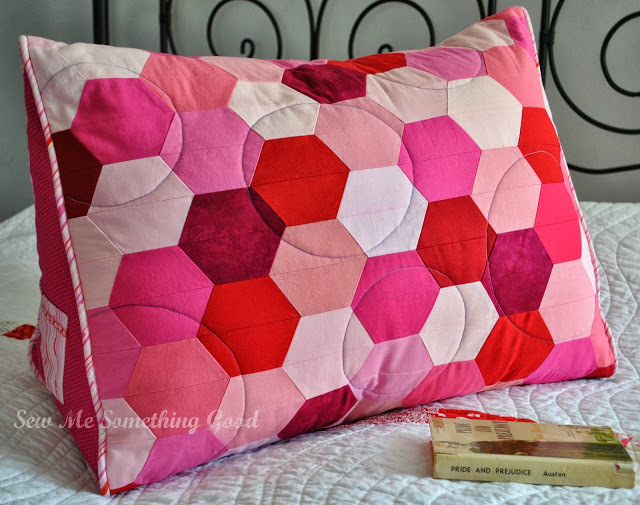 This one uses triangles trimmed from quilt blocks, which I stacked and then free motion stitched to make a scrappy tree for the front side of the pouch. Along with making tiny trees from HST scraps into gift tags, I decided they would be fun to turn into gifts as well. I've got a little assembly line underway! This sweet little reindeer is a fussy cut from the Garland line of fabric from Cotton+Steel and works beautifully as the center of an economy block. 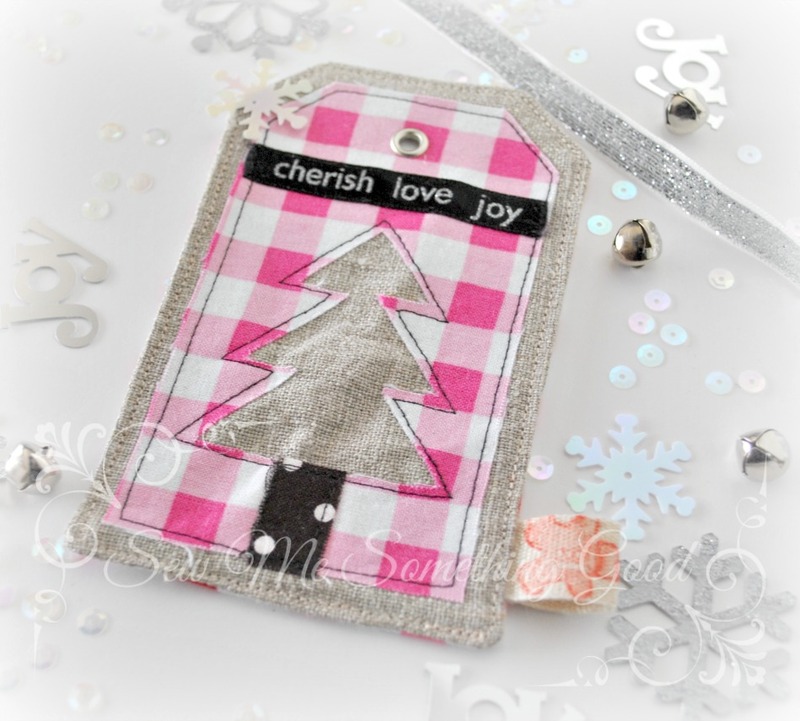 Gift tag making has been filling spare moments and providing a wonderful venue for creativity. I found more scraps of linen I had saved, that were perfectly suited for cutting into gift tags! I decided to make a little series of matching tags from that linen. 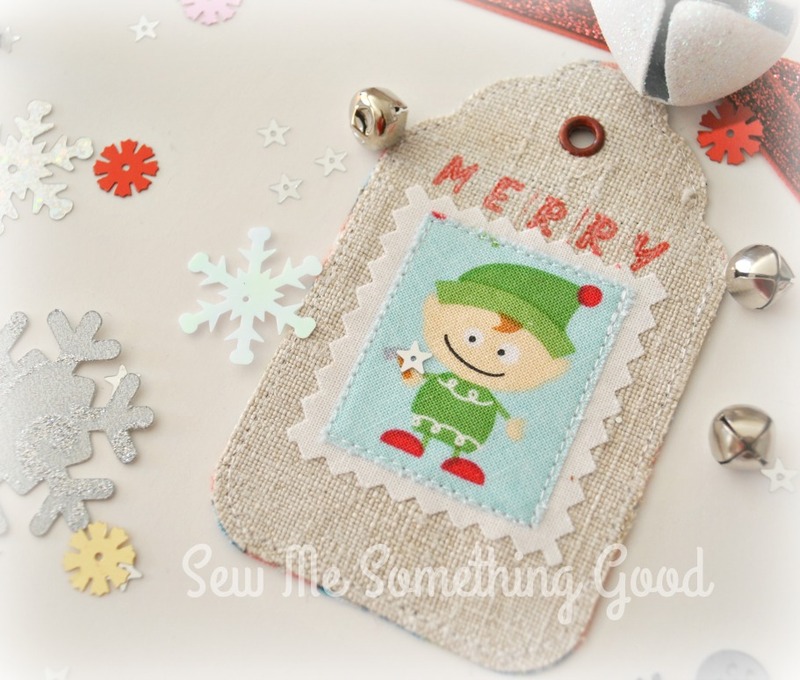 Heavy weight linen provides a stable background for a fabric tag - this one is embellished with a fussy cut and stamping. 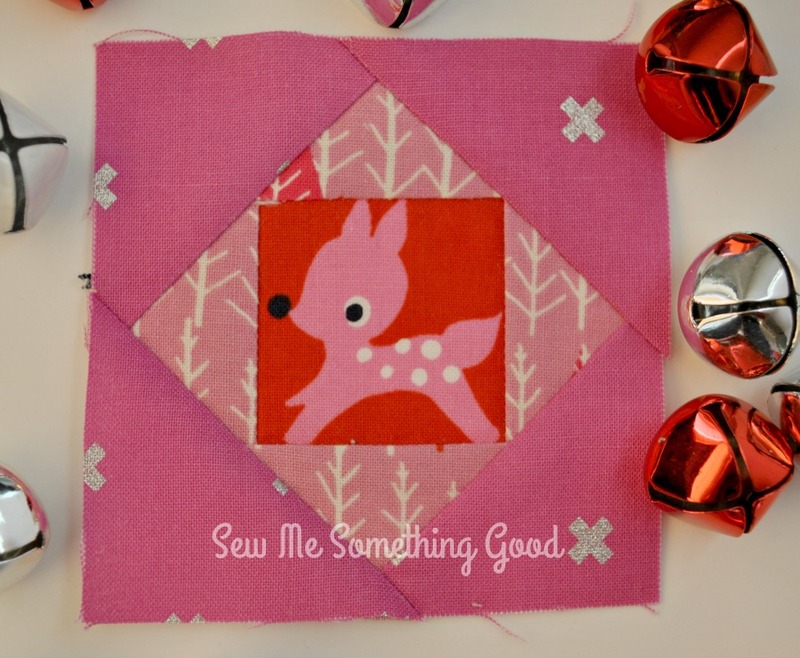 My handmade holiday gift tag making is still underway. I'm having too much fun to stop! 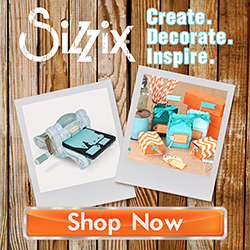 Even the tiniest scraps can make something useful! 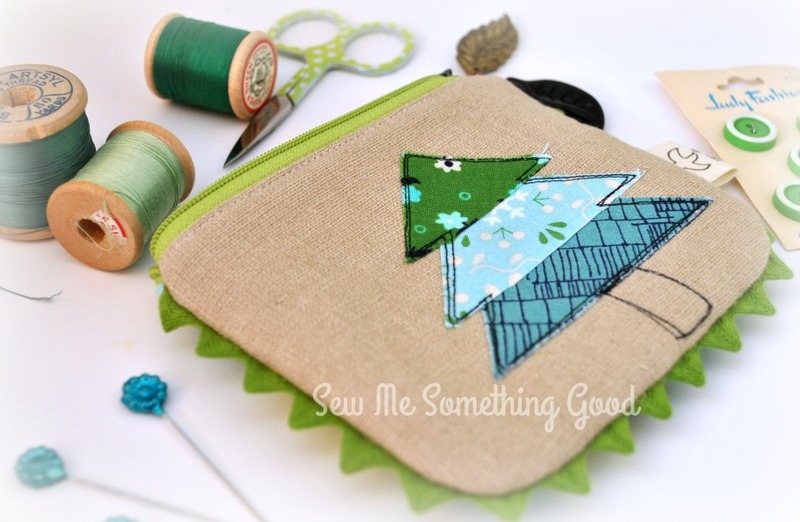 Wee triangles become trees when stacked and stitched to a canvas background using free motion embroidery. Tags are backed with quilting cotton that has been interfaced, then sewn to the canvas. 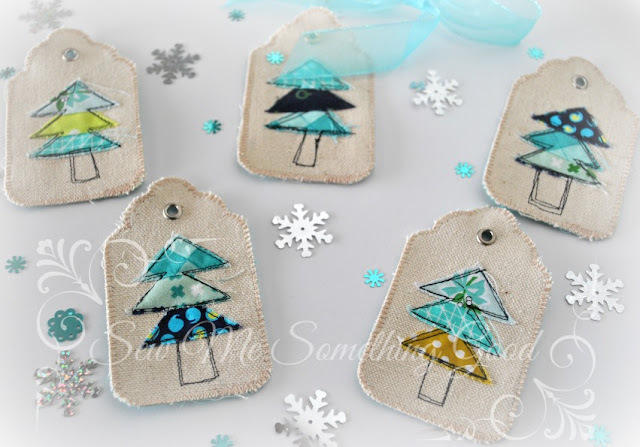 I couldn't resist stitching up another collection of the scrappy tree tags using tiny triangles (trimmed from making half square triangle units). 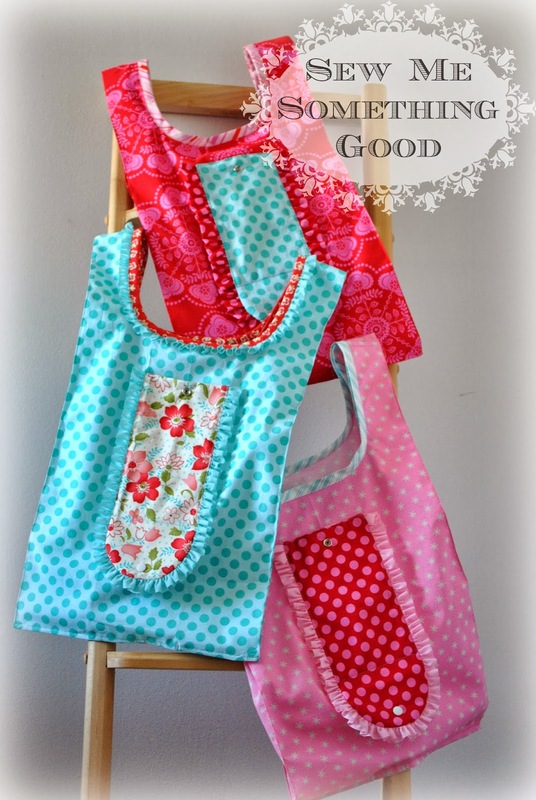 These really are the easiest tags to make and such a great way to use up pretty scraps! 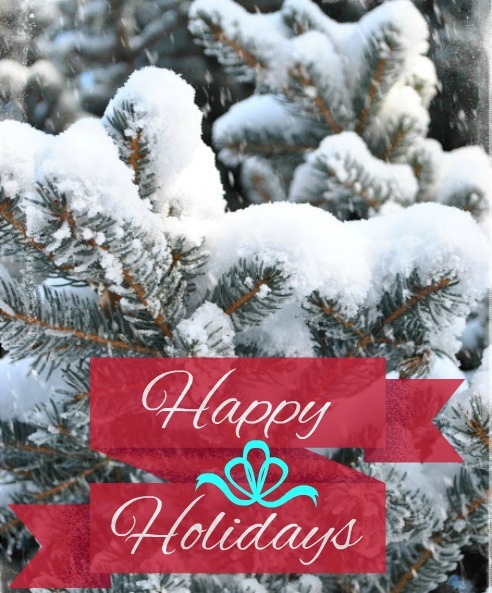 Hoping my handmade gift tags are inspiring you to try making some of your own. 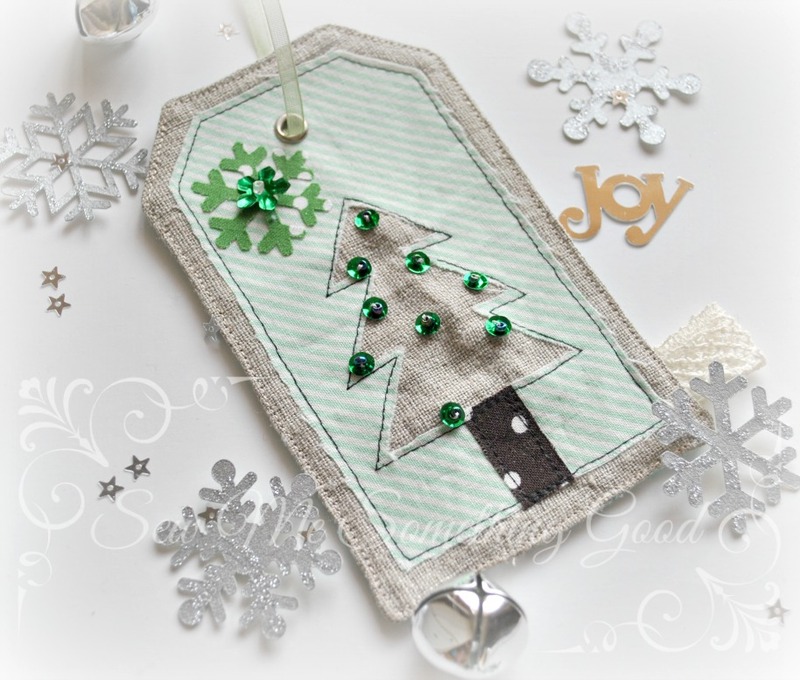 Fourth in my series of "trim the tree" gift tags, this one has printed ribbon and a piece of twill tape (that I stamped) as the only embellishments. 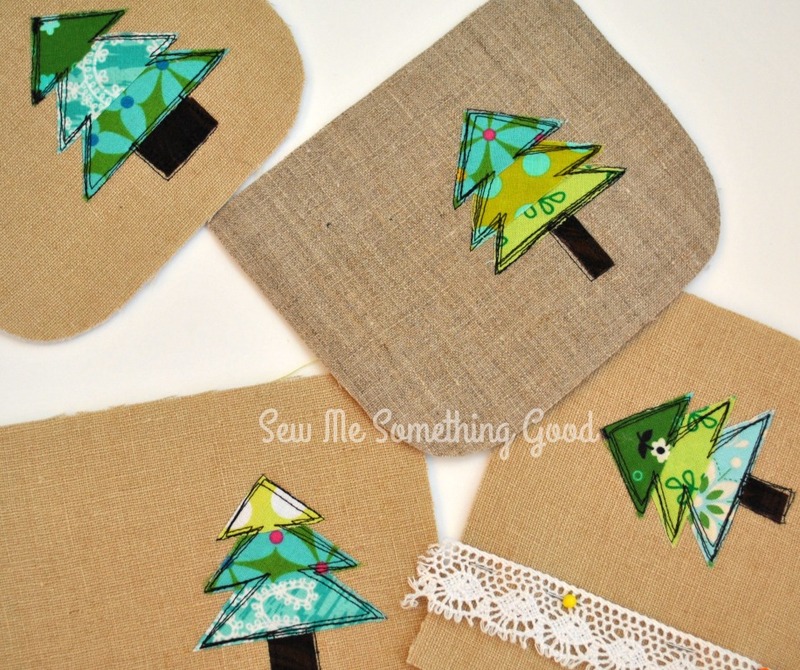 Reverse applique trees made by combining cotton scraps with a linen background make for easy gift tag idea. 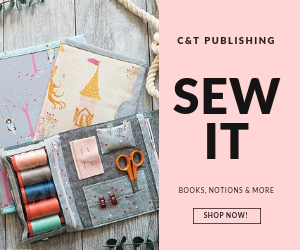 Fusible web secures the cotton to the linen and then edge stitching adds a bit of whimsy. 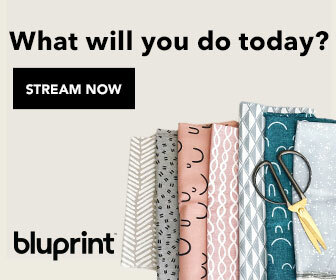 Linen + cotton always looks great! A treasured bit of lace tucked into a side seam adds a special touch to this tag.